Great detail and clear instructions. No colour calls and some care will be required in folding up wheel bays and rolling the Concorde’s exhaust sections. These are all large modelling subjects and these Brengun sets will undoubtedly add more interest and detail to them. 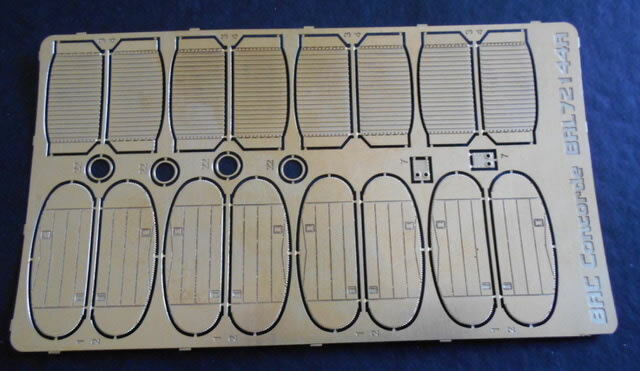 The etching is to the highest quality, double sided in some cases. For any kit requiring this rack. 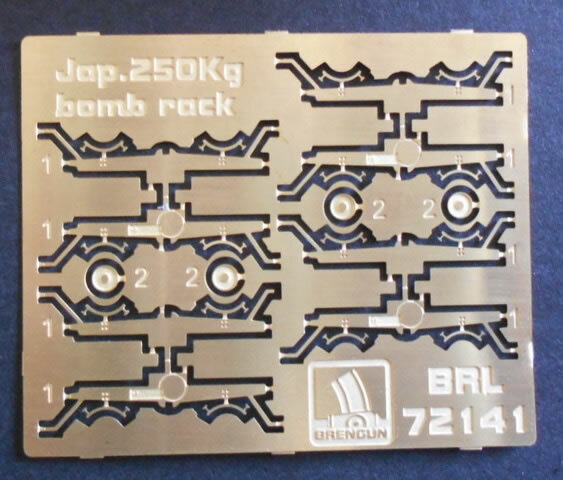 The nicely etched sheet contains parts for four bomb racks that need to be folded over and glued, and then have a small disc added to one side. The supports are then bent outwards to hold a bomb. No colour details are given. This is a very simple set that will enhance a model no end. Intended for the Trumpeter kit. There are two sheets in this set which provide super details for the following areas. Engine pods - four fans and their shrouds, and cooling louvres for the pods. Undercarriage - brake lines for all three legs, landing light bezels, and front door hinges. Dozens of vortex generators for the main wings and tail tips. 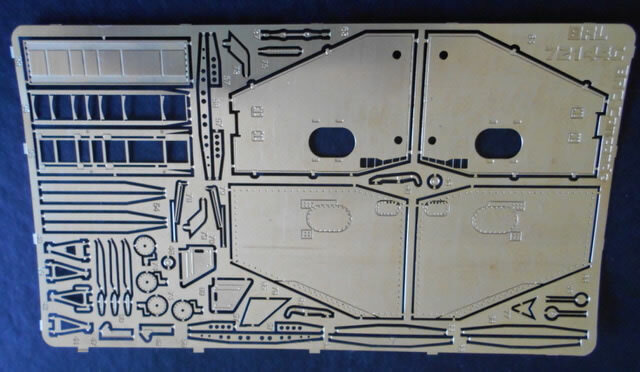 Two PE sheets contains a mass of details to replace and enhance the plastic cockpit area - all major panels and consoles are there with instrument foils for the backgrounds. The undercarriage bays also get treatment with extra details, door inserts and wheel hub details. The main undercarriage gets brake hub inserts, while the fuselage gets aerials, pitots and a tail warning device protective mesh cover. The wings also get static discharge wires. 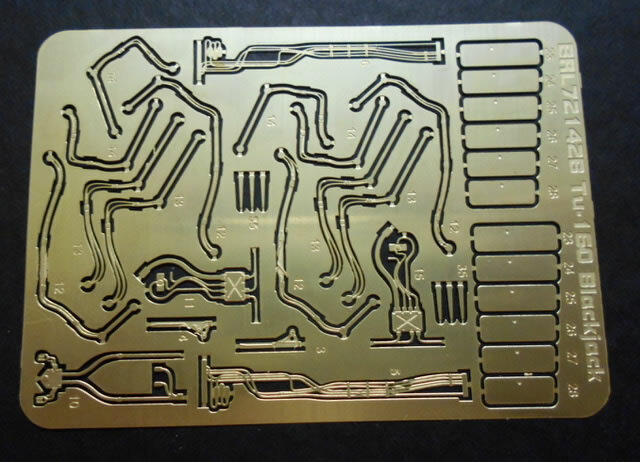 The instruction sheet clearly shows the location of all parts but no painting details are provided. Intended for the Airfix/Heller kit. the engine thrust reversers - 16 parts each, a total of 64 parts that should look marvellous. Some rolling to produce the rounded contours is necessary. The wheels wells are folded up from the etched parts and a great deal of detail is added, while the undercarriage gets new brake lines, mudguards and other fittings. The doors are also provided along with their hinges. The fuselage gets new aerials, wipers and cooling inlets for the engine pods. 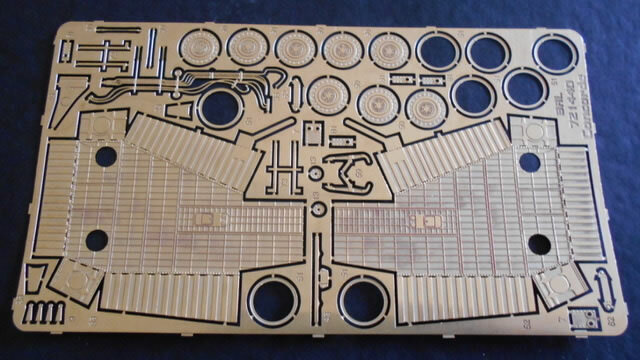 A feature of these sets is that parts are etched on both sides so as to add to their realism. 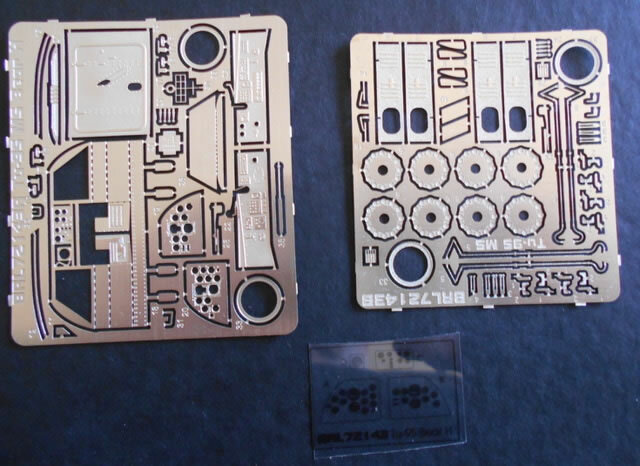 Instructions clearly show where all parts are used, but no colour details are provided. This set will really add an enormous amount of ‘oomph’ to an already spectacular model. These are all large modelling subjects and these Brengun sets will undoubtedly add more interest and detail to them. 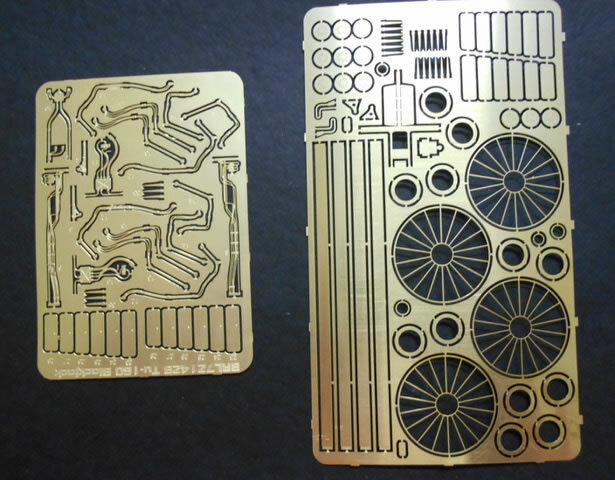 The etching is to the highest quality, double sided in some cases.